Jimmy Brandt is keeping the gloves. And the sleeves. 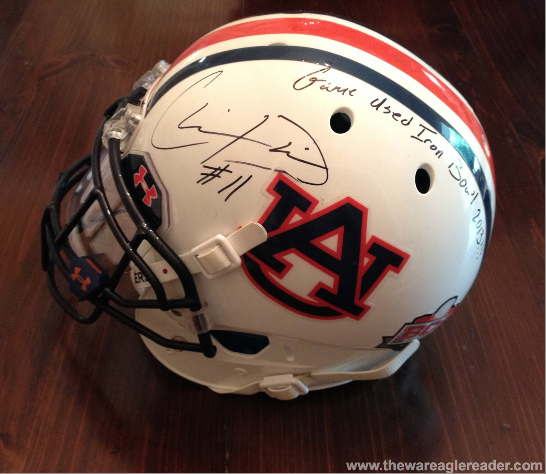 But starting Oct. 6, the helmet that Chris Davis wore during the 2013 Iron Bowl, that protected his holy head during arguably the greatest play in college football history, is up for grabs. 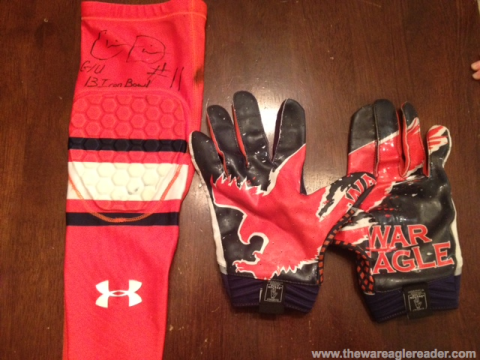 Brandt, a 2003 Auburn grad who lives in Birmingham, says he acquired several pieces of Davis’ Auburn uniform “directly from Chris” after the 2013 football season. And the best one of all he’s putting up for auction. Brandt mainly collects “MLB game-used bats from 3,000 hit club members,” but has acquired other notable pieces of Auburn memorabilia. “I have Carlos Rogers’ game-used jersey from the 2004 Iron Bowl and an end zone pylon from when we rushed the field after beating Florida in 2001 when I was a student,” he says. 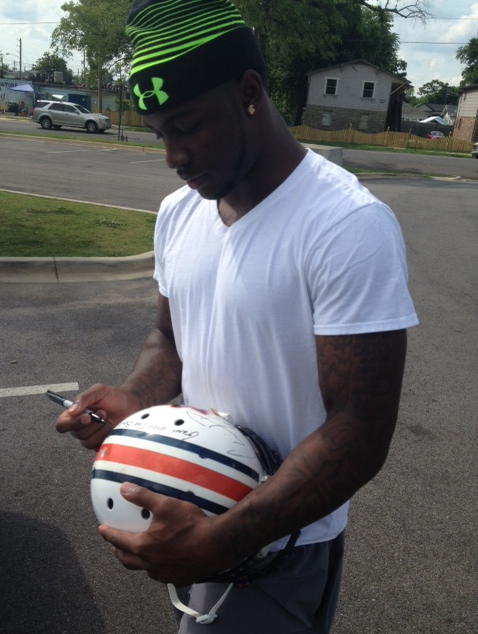 Neither come close to The Helmet. Related: Vested Interest: Faith-based charity started by former Auburn equipment manager to auction off Gus Malzahn’s Iron Bowl sweater vest.